Here is a collection of pretty minibeast acrostic poem printables to inspire some creative poetry writing in the classroom or home. Sometimes it's much more fun when you can write your poem out on pretty paper like this! Use our butterfly acrosic poem to inspire some creative writing. The pdf has four different pages for you to choose from. 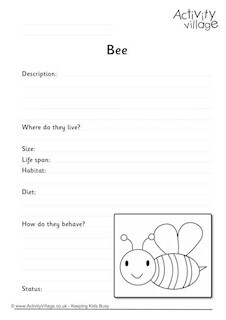 Our fun printable acrostic paper is bound to help your child's creativity when it comes to writing an acrostic poem about an INSECT! It makes a lovely writing frame too.